Watercolor on watercolor paper, 9â€³ x 11â€³, framed in a light wood frame, created in 2006. This painting is a collage. 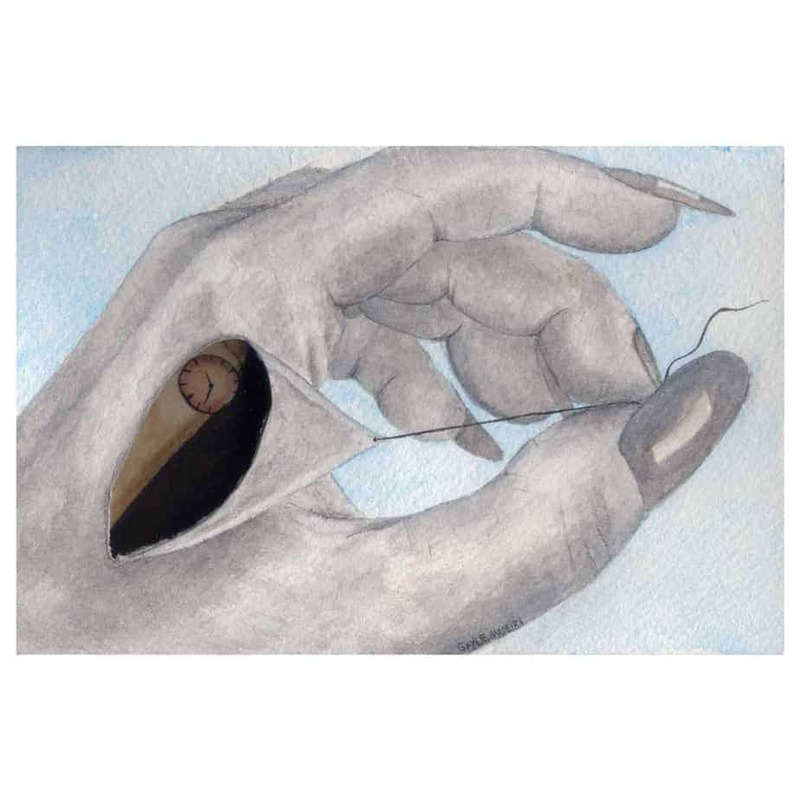 The hole in the skin is a hole in one piece of watercolor, with another piece of watercolor placed below the first piece and curved to give the illusion of an actual bone. The bone has two clocks on it to illustrate the passage of time in the hand of an artist – that there are a limited amount of paintings the artist can make of a certain type simply because their hands wear out at some point. This painting was one in a series of collages Gayle made from 2003-2006 showing various internal workings of the body. Here’s a picture of it with me so you can see what size it is! The dimensions written in the â€œAdditional Informationâ€ section below are for the size of the box this item would be mailed in, if it is mailed. The actual size of the piece is listed above. 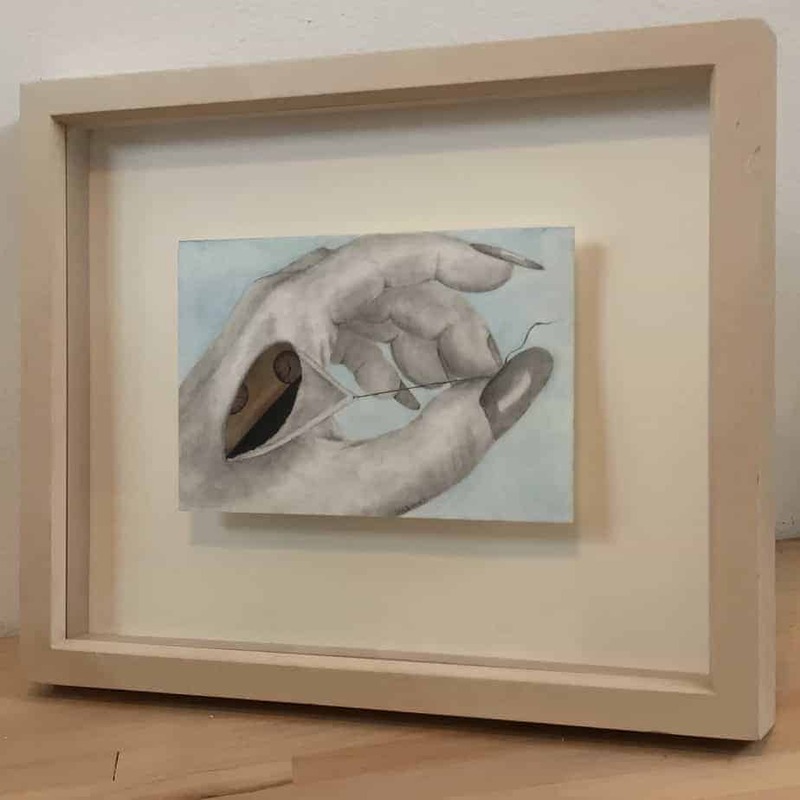 This piece is framed with glass and therefore requires a very strong box so the shipping size is much larger than would normally be necessary for a painting this size.